I've been wanting to go to The Loveless Cafe ever since I saw Carol Fay Ellison, "The Biscuit Lady", on Thowdown with Bobby Flay. The Biscuit Lady was obviously well known for her fabulous biscuits. Booby Flay gave it his best, but the Biscuit Lady won! That really made me want to try the biscuits even more! Chicken Legs was recently in Nashville for work and saw the sign for the Loveless Cafe. He decided to give it a try. I was SO jealous (I ate Funyuns for dinner that night)! There was a 25 minute wait, so he checked the property and gift shop. 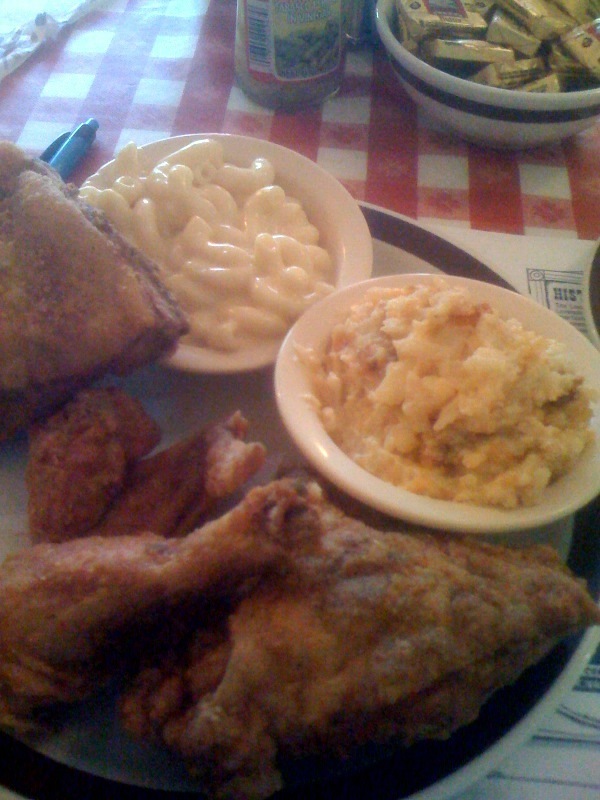 When he finally got seated, he ordered the fried chicken with mac & cheese and hashbrown casserole. 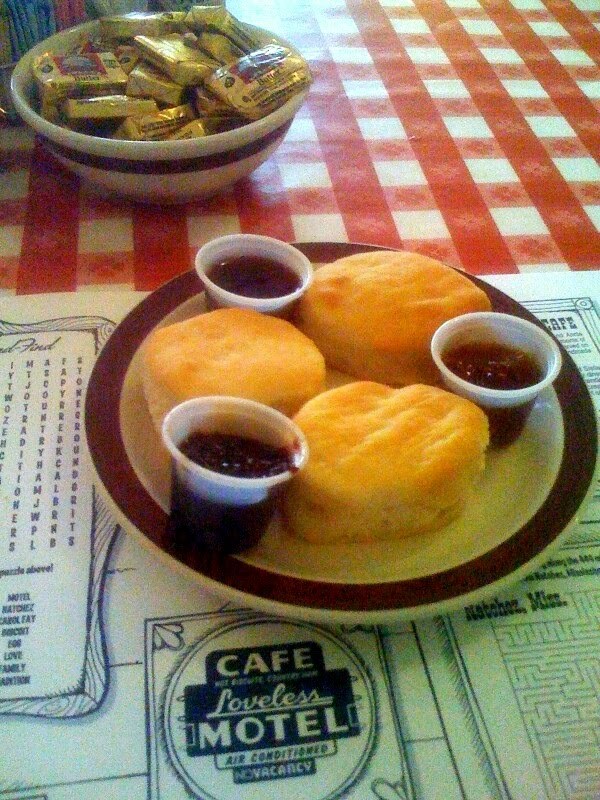 The dinner was served with some of the famous biscuits. He said the food was good - comparable to the Cracker Barrel. It was just good, southern-style eats. I hate it when I go to a place with big expectations and it's just ok. I had the same desires as you after seeing the show but never made it while my daughter was living in Nashville. I guess I'll just cross it off my list - thanks for the report. That looks like a mighty fine plate to me! I remember that episode. Bet those biscuits are pretty good. I luv biscuits. Luv them with tomato gravy even better.